PASC's Joint Interest Research Committee has released the 2018 Wage Index for overhead adjustments to the 1969, 1988 and 1996 PASC Accounting Procedures. Click here to access your complimentary copy. PASC’s Joint Venture Audit Committee has released the 2019 Benchmark Audit Rate at $106 per hour. For previous rates, click here. This half day course is intended for people who want to understand what an equalization (13th month throughput adjustment) is, why we do them, and what information is contained within them. It is ideal for those individuals looking to gain an understanding of the steps required to approve and/or code out an equalization. An equalization will be done in class to demonstrate all of the components that make up an equalization and where the data comes from. The course may not be in depth enough for individuals who will be required to do the equalizations for their organization. Lorie has been working in the oil patch for 35 years in the areas of production, revenue, and royalty accounting. She received her CMA designation in 1991 and has also received Certificates in Production Accounting (CAPPA), Joint Venture Auditing, and Teaching . Lorie has been teaching for the past 25 years for CAPPA, PASC, and various other organizations. She currently consults for several companies specializing in Gas Cost Allowance and Equalizations. Includes a continental breakfast from 8:00am - 8:30am. Salman Yasin has over 19 years of experience in the Operational, Financial, and Compliance audits of all business segments that include Upstream, Downstream and Capital Projects of Oil and Gas industry. Currently Mr. Yasin is working for Canadian Natural Resources Ltd. as a Supervisor Vendor, Audit and responsible to identify, plan, execute, facilitate and manage vendor audits in all business areas of the company. Previously, he worked for PriceWaterhouseCoopers, Ernst Young LLP, and Enbridge Gas Distribution Ltd. at different positions." Speaker: Michael Woofter, Professional Engineer, President, Woofter Petroleum Consultants Ltd.
Michael Woofter is a Professional Engineer with over 35 years of experience in the oil and gas industry. Currently, Michael is the President of Woofter Petroleum Consultants Ltd. Previously, he held the position of Manager of Reserves and ROTR at Paramount Resources Ltd. (commencing 2009) and is an Internal Qualified Reserve Evaluator (IQRE). Prior to Paramount, Michael operated Woofter Petroleum Consultants Ltd. providing Professional Engineering services to a wide variety of clientele within the Petroleum Engineering sub-disciplines of Evaluations, Reservoir, Drilling, Completions, Production Operations and Facilities Engineering. He is and expert user of both PEEP/VOLTS and VALUE NAVIGATOR for asset evaluation and reserve management, along with other technical software applications (including FAST/HARMONY Suite). 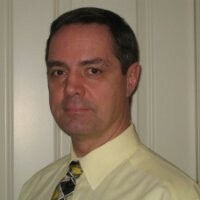 Michael graduated in 1983 with a Bachelor of Science degree in Petroleum Engineering from Texas A&M University, is a registered Professional Engineer in good standing with APEGA , is a QualifiedReserveEvaluator (SPEE) and a long standing member of SPE. Lunch will be provided with a non-alcoholic beverage, and dessert. All contents copyright © 2019 Petroleum Accountants Society of Canada. All rights reserved.